Support from our friends and alumni makes a difference! Make your donation today through the University’s giving website. The Office of Development and College Relations serves as a liaison between the College and its friends and alumni.  If you are interested in finding ways to give to the College of Arts and Sciences, contact us at (205) 348-7007. If you are interested in giving to the Collegiate Fund or would like to know more about the College of Arts and Sciences Leadership Board, contact Kevin Reid, director of College support boards, at krreid@ua.edu or (205) 348-7009. If you are a College alumnus with news to share, contact Stephanie Kirkland, director of College relations, at (205) 348-8663 or stephanie.kirkland@ua.edu.